In the wake of sharp criticism about its employee pay, Amazon.com Inc. plans to boost its minimum hourly wage to $15 for U.S. full- and part-time workers across all of its business units, including Whole Foods Market. Amazon said Tuesday that the change, which includes temporary staff, affects more than 250,000 employees and is scheduled to go into effect Nov. 1. Also eligible for the higher minimum wage will be the 100,000-plus seasonal workers hired at Amazon sites nationwide for the holiday period. In addition, Amazon called the current federal minimum wage of $7.25 an hour “too low” and said its public policy team will advocate for an increase and look to Congress to “decide the parameters” of a higher wage level. Amazon, whose workforce numbers more than 575,000 worldwide, said it will continue to offer its current employee benefits. The package includes comprehensive health care coverage; company-paid life and disability insurance; up to 20 weeks of paid parental leave; a 401k retirement plan with matching contribution; and the Career Choice program, which prepays 95% of employee tuition for courses in high-demand fields at Amazon or another company. Public officials have chided Amazon and Walmart in particular among large retailers for offering wage levels that they say result in many employees struggling to earn a living. Chief among the critics has been Sen. Bernie Sanders (I-Vt.). In early September, Sanders and Rep. Ro Khanna (D-Calif.) introduced legislation called the Stop BEZOS (Bad Employers by Zeroing Out Subsidies) Act. The lawmakers said the bill would require large companies like Amazon and Walmart to pay for Medicaid, food stamps other public assistance used by employees not paid a living wage. To that end, the measure would institute a 100% tax on corporations with 500 or more employees equal to the amount of federal benefits received by low-wage workers. On Tuesday, Sanders (left) released a statement applauding Amazon’s plan to raise its minimum wage. 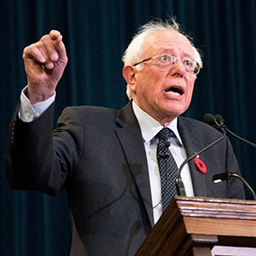 “It is no secret that I have been a harsh critic of the wage and employment practices of Amazon and its owner Jeff Bezos,” Sanders said. 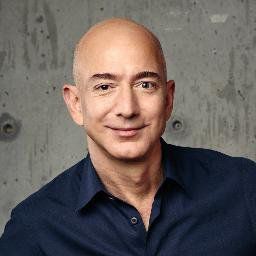 “It has been my view that the middle class and working families of this country should not have to subsidize Mr. Bezos, the wealthiest person on Earth, because many of his Amazon employees earned wages that were so low that they were forced to go on government programs like food stamps, Medicaid and subsidized housing. Today, I want to give credit where credit is due, and I want to congratulate Mr. Bezos for doing exactly the right thing. Today, he has raised the minimum wage at Amazon and Whole Foods effective next month. This applies not only to full-time workers, but part-time workers and temporary workers as well. Leading chains already have been hoisting wages. Starting in February, Walmart hiked its minimum wage to $11 per hour. Rival discounter Target Corp. had lifted its minimum hourly wage to $11 last October and said it plans to raise that to $15 by the end of 2020. And this past June, Costco Wholesale Corp. raised its U.S. starting wages from $13 and $13.50 per hour to $14 and $14.50 per hour. A group of Whole Foods workers recently called for a $15 minimum hourly wage as part of an effort to unionize store-level employees. The effort, first reported early last month by The Wall Street Journal, stemmed from workers’ concerns about labor-related changes they said have occurred in stores since Amazon closed its acquisition of Whole Foods in late August 2017.